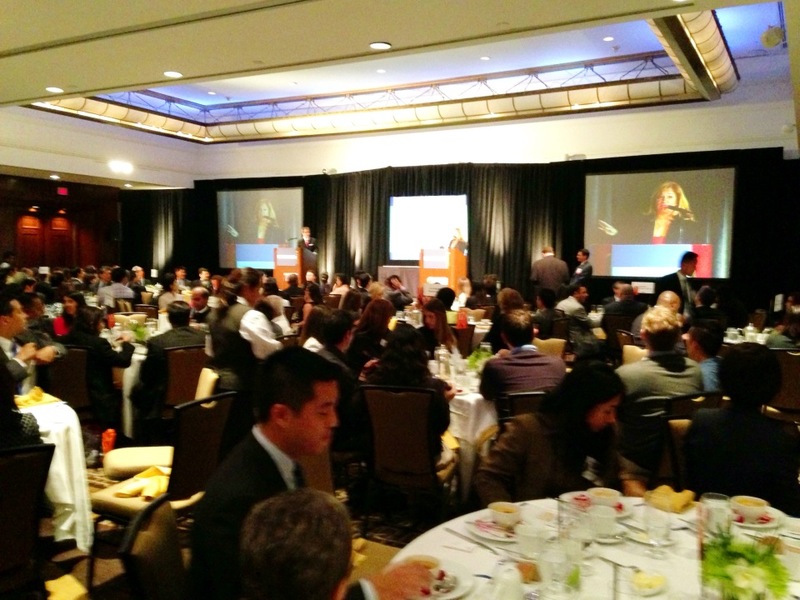 Our CEO Kalika Yap earned a nomination for the Los Angeles Business Journal 2013 Asian Business Awards. This award is given to recognize the many achievements made by the Asian business community. Our CEO, Kalika Yap, was interviewed for the Dermalogica blog! Dermalogica is the world’s leading professional skin care brand. Dedicated to supporting and promoting Skin Health, through the expertise of a Professional Skin Therapist. Here’s the full blog post and interview with our CEO Kalika Yap! Dynamic and vivacious Kalika Yap founded her Santa Monica-based, award-winning branding and interactive design agency, Citrus Studios, in 1999. Her prestigious client-list includes Sephora, The Huntington Library, Art Collections, and Botanical Gardens, UCLA Fowler Museum of Cultural History, Norton Simon Museum, Getty Research Institute, St. John’s Health Center, John Wayne Cancer Institute, Armstrong Gardens, Norman Lear Center, Corpus Christi College, Cambridge UK, USC, UCLA, and literally hundreds of other corporations, museums, cultural and educational organizations, beauty, spa and fashion brands, and nonprofits. 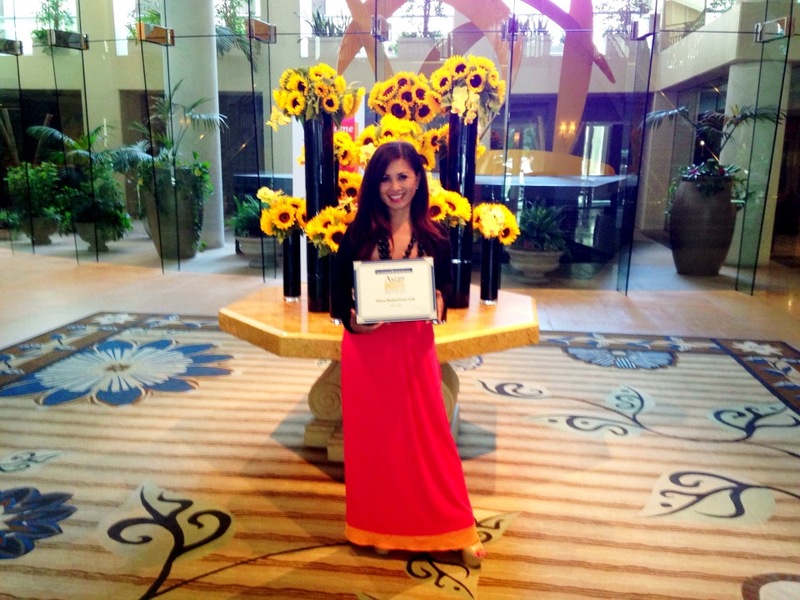 Ms. Yap is an active member and supporter of joinFITE.org, NAWBO/LA, Entrepreneur’s Organization, EO | Los Angeles. She serves on the Board for Vconline.org and works with other national and community efforts that advocate for women in business. Among her many awards, NAWBO/LA named her a “Rising Star,” and Farmers Insurance named her an “Extraordinary Entrepreneur”. 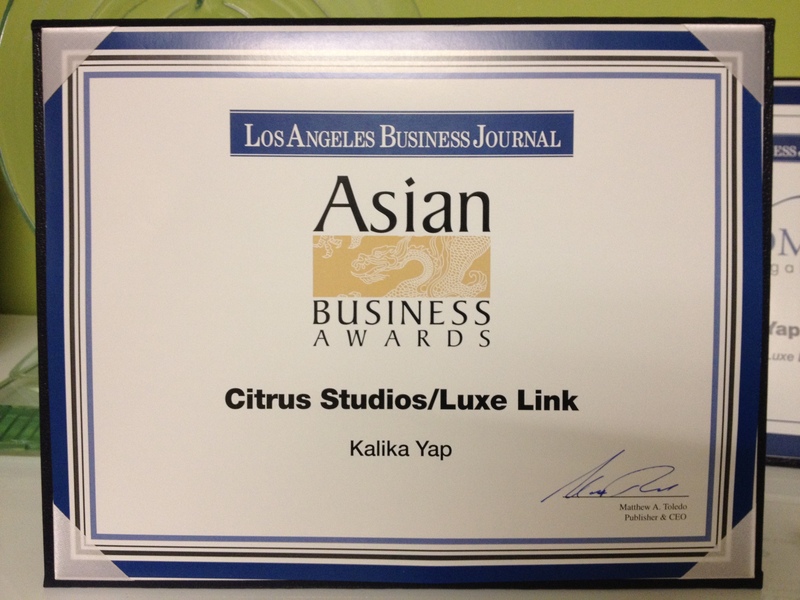 Citrus Studios was recently voted “Tech Firm of the Year” by the Asian Business Association, among many other accolades. • If Not Now, When? Kalika Yap is a native of Honolulu, dances Hula, and lives in Los Angeles with her husband and two children, ages 2 and 4 years old. Q: Aloha! Lets’ begin with time-management. In addition to all of the above, you also are a mom? KALIKA YAP: Aloha, mahalo, yes, we have two little ones, and they keep me on my toes. I have always been organized, but now I really take care to create anchors and routines. KALIKA YAP: Just as one small example, I take Spirulina blue-green algae, and Vitamin D, for energy and to keep my immune-system strong under pressure. My mom actually got me started with that. And I don’t work on weekends, although I easily could. I used to be a marathon runner, but now I enjoy walking with my kids and husband on Saturday and Sunday. I’ve read that the brain can only work continuously for about 90 minutes, and then you need a break to continue at your highest function. I believe in taking breaks. This allows me to do small, personal things, not only for my family, but also for my business. For instance, I send out personal birthday cards to all my clients. Q: Entrepreneurs are famous for being risk-takers. What about you? KALIKA YAP: I am an intelligent risk-taker. I think this notion of risk-taking can be misinterpreted by entrepreneurs, especially in the beginning — they confuse it with being reckless. For example, as an entrepreneur, you have to pay yourself. It’s a common mistake to not pay yourself, so you think you’re saving money, because your P&L looks great on paper. This is false security. Q: What other advice do you have for entrepreneurs who are starting out — or for job-seekers? KALIKA YAP: The hardest work to get is new work. This isn’t to say that you shouldn’t look on monster.com and all the rest. Of course you have to. But my own experience is that there often is gold under our feet and we don’t realize it. My advice begins with this: Work your current contacts. Cultivate your current network or client base. Get inside of the heads of people you already work with. Think like they think. Get in touch with their needs. This will allow you to figure out what they need from you next. It takes work. It’s more than visualization, although visualization is the first step. But, books like “The Secret,” with due respect, may have instilled a belief in magical thinking in people. Also a sense of entitlement. Simply wanting and wishing does not make anything happen. Oh, also one bit of practical advice: “Purse on the floor, money out the door.” Don’t put your handbag on the floor. First of all, it’s not good for your bag! Second, it sends money out the door. That’s why I invented LUXE LINK®, which is this handy hanger for your bag. It hooks on your desk or table. Q: Nice bag, by the way. KALIKA YAP: Thanks, it’s a JAMAH bag, designed by Nancy Gale, another amazing entrepreneur! Q: What has changed about your business during the past 12 years? KALIKA YAP: You know, I’ve really simplified the way I work, and I don’t take things personally the way I used to. I think part of it was my Hawaiian cultural upbringing. I was so trusting and easy-going. As a result, I spent a lot of money on lawyers’ fees in those early years, because people took advantage of that. Now, I am still easy-going and trusting, but I always have a contract in place before we work together! Q: What quality do you admire most in people? KALIKA YAP: I admire people who never seem to have a bad day. I also admire forgiveness. And gratitude. These are qualities I cultivate in myself and my team. Q: And what quality is the biggest problem for entrepreneurs? KALIKA YAP: Not just for entrepreneurs, but for anyone, especially someone in an authority position: you have to be willing to accept responsibility for your actions. You have to hold yourself accountable and step up. When you’re the boss, this also applies when someone who works for you makes a mistake. It happens. You cannot dodge the blame. If you’re the boss, in the largest sense, it’s your fault, and you have to embrace it, own it, and take responsibility. Q: On the subject of employees, how do you decide who to hire? KALIKA YAP: OK, this is my most favorite topic. I am a student of body language, and what are called “micro-expressions.” These are little flashes of truth that our faces and bodies send out. They last less than a second. But if you know how to recognize them, they tell you a LOT about people, especially when their micro-expressions contradict the words coming out of their mouths. When someone starts stroking their own arms, or legs, or hair, they are self-pacifying, or trying to soothe themselves, which suggests discomfort or stress. It doesn’t always mean that they are lying, but you have to ask yourself, what in the conversation is making this person so stressed? In meetings, we generally only see people from the waist up. This can be very deceiving. I try to get some sense of what’s going on under the table, below the belt! If they are tapping their feet, jiggling their knees, crossing and uncrossing their legs, again, we have an indicator of discomfort. If their hips and feet are angled toward the exit, then maybe they aren’t really committed to the conversation — they are preparing to flee the scene. Hiding the lips — as in, squeezing the lips together so they disappear — is often a sign of disagreement, or of self-censoring, like the person is suppressing what they want to say. And showing off the thumbs is a sign of power and dominance. So, my advice to entrepreneurs, and anyone involved in any kind of negotiation, is to be aware of your physical messages. Make sure your body is saying what you want to say. I recommend one of my favorite books, “What Every BODY is Saying: An Ex-FBI Agent’s Guide to Speed-Reading People” by Joe Navarro. Q: On the subject of feeling powerful, do you really recommend that people go barefoot? KALIKA YAP: I do. In Hawaii, we call the energy of body and spirit “Mana.” It may be compared with Chi, or Q’I, or Prana. And this essential energy is felt most easily when we are barefoot. This is why Hula is always danced barefoot. And so, we have mani-pedis in our office every week as a perk for the team. It helps our creativity. Q: I notice that you quote the great Rabbi Hillel in your Core Values. KALIKA YAP: Yes, “If not now, When?” I also love the quote, which has recently been paraphrased by Madeline Albright, but really began with President Robert F. Kennedy, who referenced the poet Dante to say, “The hottest places in Hell are reserved for those who in time of moral crisis preserve their neutrality.” Italian scholars now argue that Dante never wrote those lines, but they are still words to live by!